Founded: 1892 as Helios Electric Company, aquired by Ford Motor Company in 1961 (PHILCO-Ford), sold to GTE-Sylvania in 1974. Specialty: Early transistor pioneer, produced first commercially available germanium transistors, development of the surface barrier transistor, produced the first commercially available transistorized computer - the Transac S-2000. 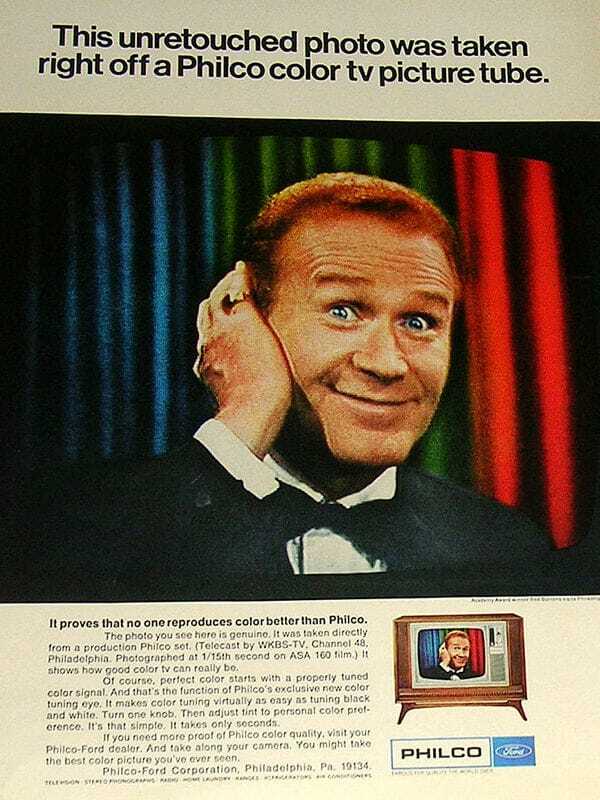 Leader in early commercial Transistorized radios and TV's. 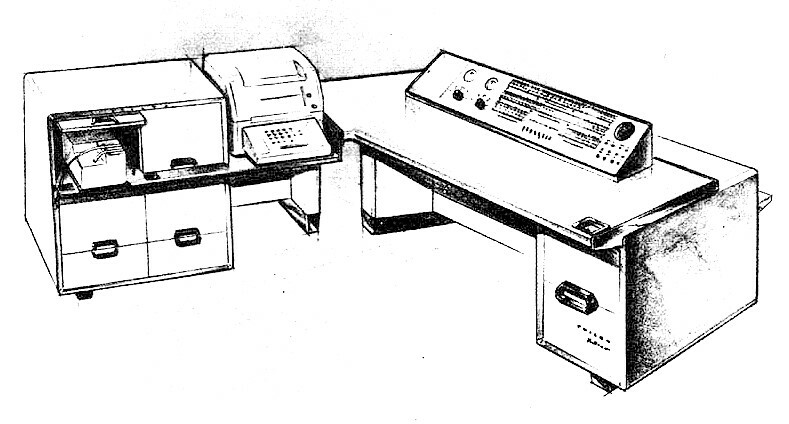 The Philco 210, 211, 212 Computers. PHILCO was one of the earliest, and largest transistor manufacturers during the 1950's. This clear Lucite paperweight features three unmarked PHILCO "surface barrier" transistors manufactured in the mid to 1950's. 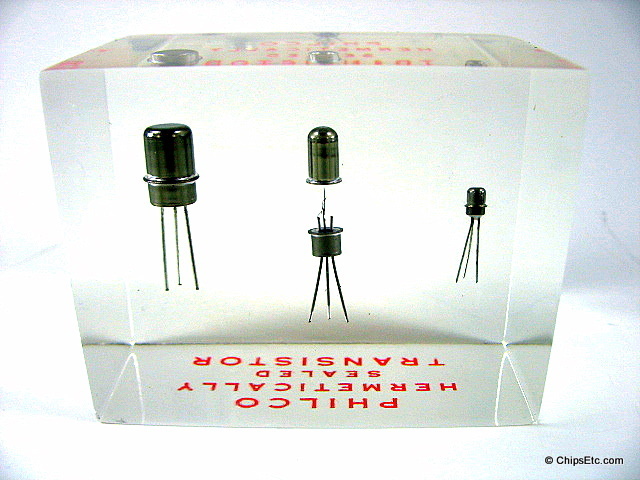 The germanium PNP surface barrier transistor was invented by Philco in 1953 as an improvement to the alloy-junction transistor and the earlier point-contact transistor. 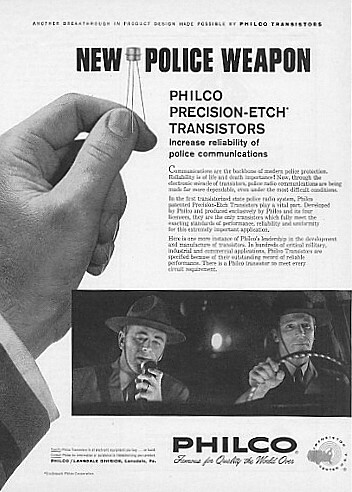 The PHILCO surface barrier high frequency transistor technology opened up the use of transistors for high-speed computers (replacing vacuum tubes) and was used in the first all-transistorized large-scale computer in 1957, the PHILCO S-2000 "Transac". 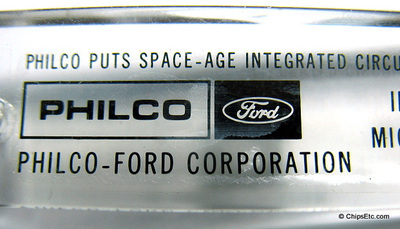 PHILCO was later acquired by Ford Motor Company in 1961. 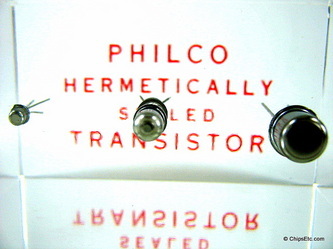 These types of PHILCO transistors would have been manufactured in PHILCO's Spring City, PA. facility for use in early military mobile computers, industrial control computers, transistorized commercial computers like the "Transac", and transistorized radios. 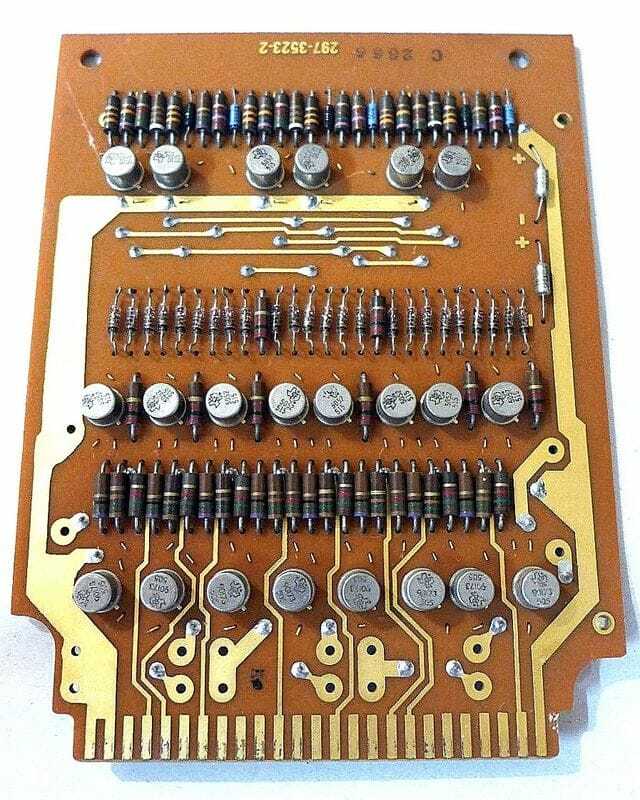 The middle transistor has it's hermetically sealed top cap removed showing the transistor components inside. Paperweight manufactured by Clear-Float, Inc. of Attleboro Mass. In unused condition, Measures 2.5" wide by 1.5" deep by 2" high. 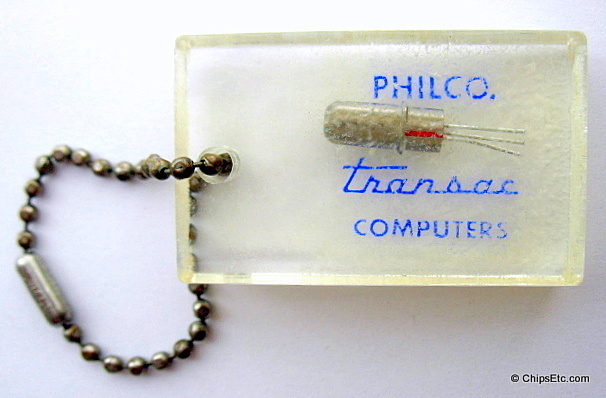 Early Lucite keychain from the mid 1950's promoting the PHILCO Transac Computer (Transistor Automatic Computer). Encased inside this keychain is an actual PHILCO surface barrier transistor. 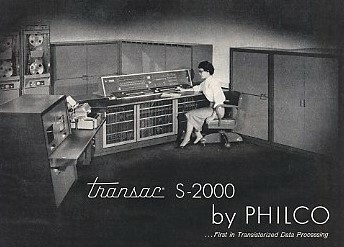 The PHILCO Transac S-1000 computer was the world's first transistorized high speed computer. 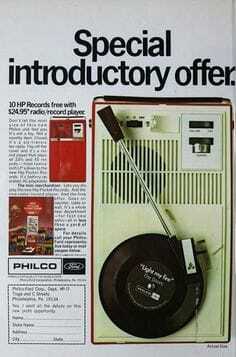 It was based on PHILCO''s new high-frequency surface barrier transistor technology which they invented in 1953. This is one of the oldest computer technology related keychains in our collection. Measures 1 1/2" x 7/8". 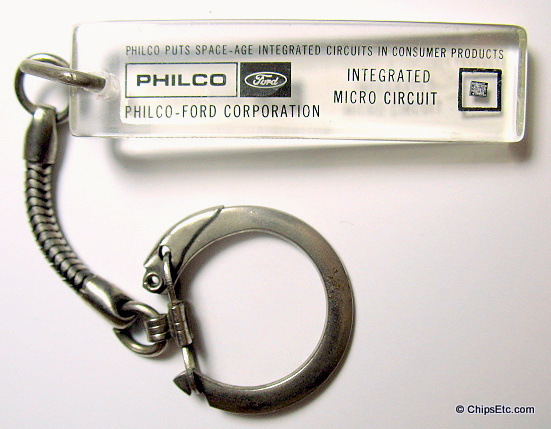 Lucite keychain from PHILCO-Ford promoting their new use of Integrated Micro Circuits in their consumer products. 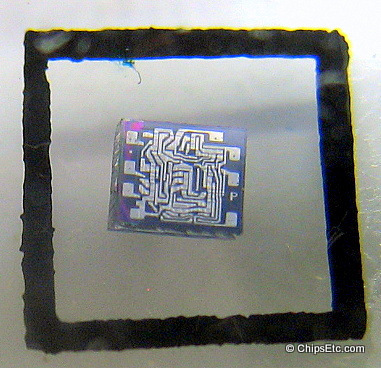 Their is an actual PHILCO IC chip embedded in the Lucite. 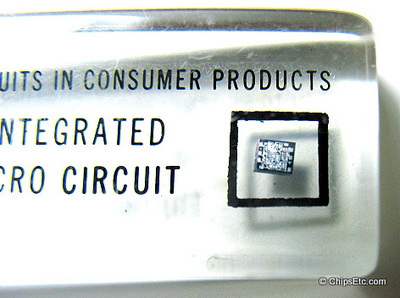 Only readable identifier on this chip is the letter "P". 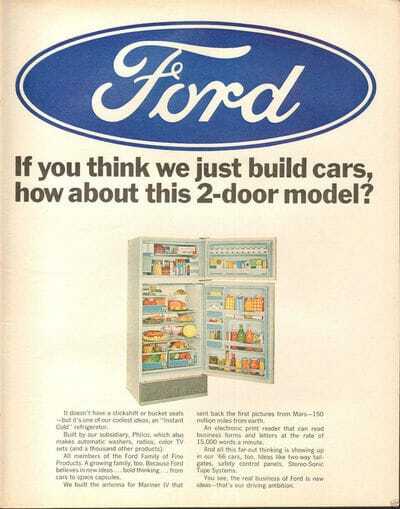 In 1961, Ford Motor Company purchased PHILCO and the new subsidiary became know as PHILCO-Ford. As a leading electronics company, PHILCO-Ford would start to win numerous government defense and aerospace contracts for Aerospace Tracking systems, space satellites, and even the design and construction of the NASA Mission Control Center in Houston. 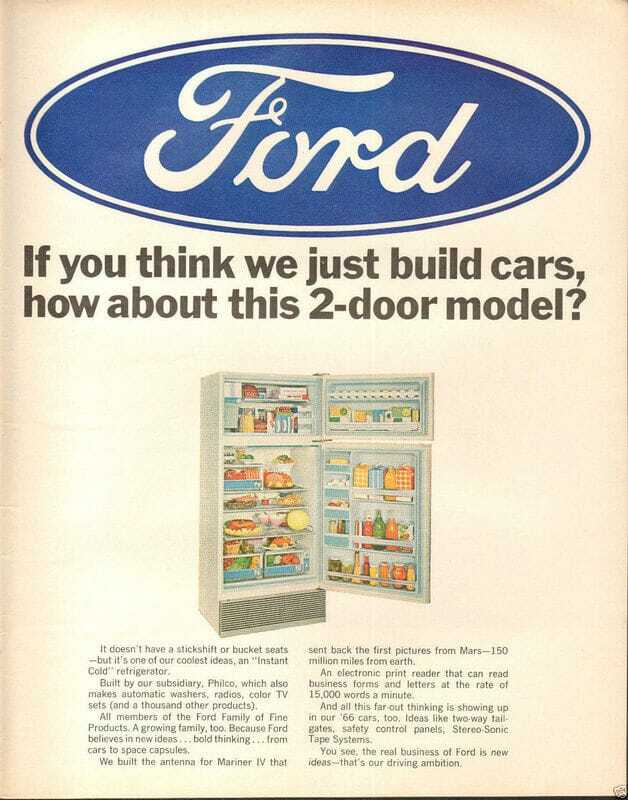 During the 1960's until the mid-1970's, PHILCO-Ford would produce a large variety of consumer products including refrigerators, washing machines, televisions, calculators, radios, phonograph players, air-conditioners, automotive electronic controls and car stereos, Telejogo brand home video game consoles, and more. 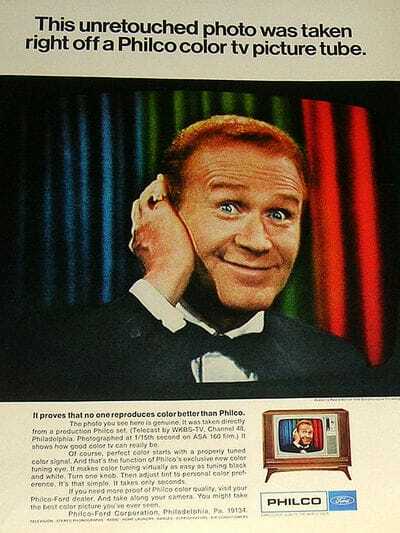 PHILCO-Ford's first use of an Integrated Circuit in one of their consumer products was in 1967 in their desktop AM Radio. In 1968, they would have Integrated Circuits inside their phonographs, color TV's and portable radios.​ Around 1973 Color TV manufacturers were starting to combine the functions of multiple IC chips onto a single IC chip. 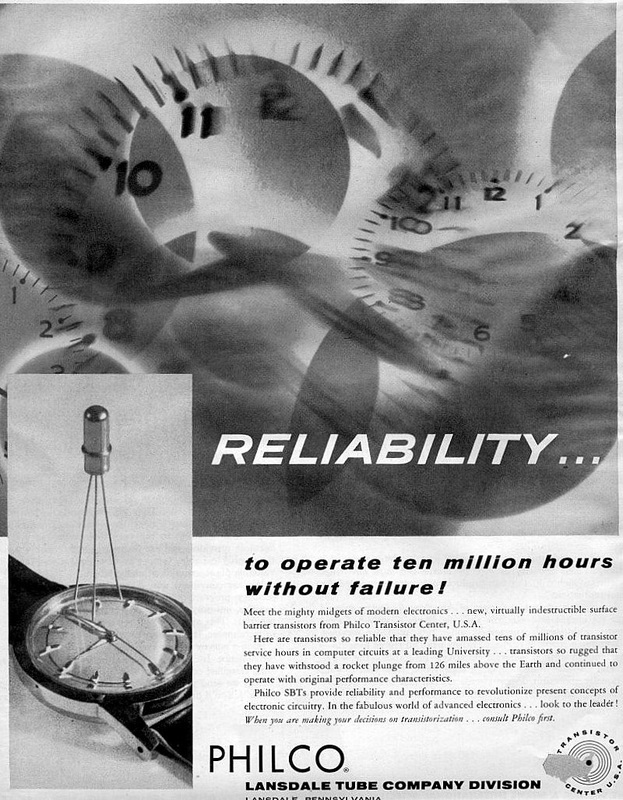 Reads "PHILCO puts space-age integrated circuits in consumer products / Integrated Micro Circuit". 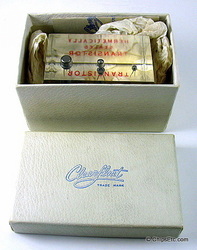 Lucite block Measures 2". Total keychain measures 4 1/2" in length. Clear Lucite paperweight from Ford has a Thin Film Hybrid Integrated Circuit embedded inside. Reads "Leading the way in vehicle electronics. Vehicle and Engine controls - instrumentation - Entertainment".